Gazprom has decreased its gas supply to Belarus to 40% of the norm as a result of the ongoing financial conflict. The Russian gas monopoly has upped the ante in its gas row with Minsk on Wednesday by further limiting supply. Unless the conflict is resolved, Gazprom plans to pump just 15% of the planned volume, which would correspond to the amount of debt it wants to collect. Earlier on Tuesday, Belarusian President Aleksandr Lukashenko told Russian Foreign Minister Sergey Lavrov that he had ordered the cut off of Russian transit gas until Gazprom paid off its transit fee debt. Later, however, Belarus sent an official notification to Gazprom saying it has started taking Russian gas from the transit pipeline in order to meet domestic needs. This caused outrage at Gazprom, since not only the gas, but also the pipeline, is Gazprom’s property. “There is no problem for us. 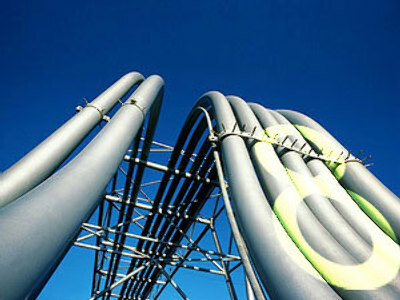 Our clients in Europe will receive the amounts of gas as stated in the contracts with Gazprom. And to our colleagues in Minsk I want to say the following – your decision to cut the transit is not an excuse to not pay your debts,” said Sergey Kupriyanov, Gazprom spokesperson. As of Wednesday, gas transit remains unhindered, the company reported. “We have two pieces of news. One is good, the other is bad. Let me start with the good one – the transit of Russian gas through the territory of Belarus is being carried out in full, and the consumers of Russian gas have no problems with supplies,” Gazprom’s head Aleksey Miller said, continuing: “The bad news is that Belarus is making no attempts to pay the debt for supplied gas. The restriction of supplies will continue in proportion to the debt,” he added. Still, the EU is concerned with the possible lack of transit gas. EU spokesperson Marlene Holzner said on Tuesday that this gas row can affect more than six percent of EU gas consumption. According to the spokesperson, if Belarus does cut off the gas supplies, it will directly affect Lithuania, which fully depends on Russian gas pumped through the territory of Belarus, and indirectly Poland and Germany. Conflicting reports concerning gas supplies are coming from Europe. 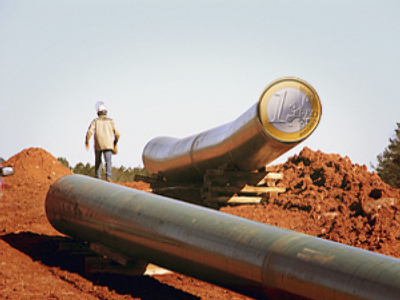 Marlene Holzner, spokesperson for the European Commissioner on energy Mr. Oettinger, said on Wednesday that Poland and Lithuania have not experienced any cuts in transit gas supplies. Meanwhile, the press service for Lithuanian gas company Lietuvos dujos has issued a statement saying the current volume of gas supplies coming to the country via Belarus has been decreased by 30%. According to Mr. Valentukevicius, CEO of the company, so far there has been only unofficial information about the cut-offs on the Belarusian part. The Russian side has so far denied any cuts in gas supplies. “I have no information about the cuts in gas deliveries to Europe via Belarus,” said Russian Minister of Energy Sergey Shmatko on Wednesday. “We are keeping in touch with our European colleagues. Today I have been talking to the European Commissioner on energy Mr. Oettinger, who has given a good assessment of our communication in these uneasy times. He said Russia, despite the tensions, is doing all that is necessary to secure European deliveries,” said Sergey Shmatko. Shmatko also said that Russia has agreed with the European Union on the possibility of sending EU watchdogs to monitor the situation with illegal cuts of Russian transit gas. He added that for the time being there is no such necessity. The current debt of Belarus is $192 million for the first half of this year. Belarus has been paying $150 per 1000 cubic meters of gas since the beginning of this year, while the rate stipulated in the contract is $169 for the first quarter and $185 for the second quarter. Meanwhile, Gazprom has confirmed that Belarus has paid for the May deliveries of Russian gas. Thus, Belarus has admitted the necessity to pay for Russian gas at the price stipulated by the contract, says the company’s statement. May 23 was the deadline for Belarus to pay for May’s deliveries. Otherwise, the total debt of the country would have risen to 250 million dollars. The debt of 192 million dollars, however, is still to be cleared. Belarus has offered to pay the debt in goods and services, but Russia says it is illegal and expects cash. For its part, Belarus says it is Gazprom who owes them; according to the Belarusian estimate, they are owed about $200 million in transit fees.